Attach a measuring tape to the main halyard, hoist and lock the halyard ball into the latch. Hoist the jib and latch it at a middle position, push on a shroud to apply tension to the jib luff wire and then measure to the intersection of the deck at the transom. The measurement you want is 28′ 4″. If your measurement is not correct, latch the jib halyard in whichever position achieves this rake. Make the shrouds snug when the mast is raked in this manner. In heavy air you may choose to increase the rake, if necessary, so that the rake measurement is 28′ 2″. Make certain when you measure rake that the mast is not bending. Most new mains require a fair amount of mast bend to set right. After setting the rake as described above, tighten the backstay until the measuring tape shows 27′ 11″. This is a good starting point for bend. Generally in medium airs when you sheet the boom to the center of the boat, tighten the backstay until the upper batten is 12″ to 18″ off the backstay. Trimming harder tightens the leech as does easing the backstay. In no event sail with the leech closer than 12″ to the backstay at the top batten. Your spreaders should be 17″ long when measured from the mast to the shroud and should be angled so as not to deflect the shroud forward or aft of a straight line from tang to chain plate. Camber – the depth of a sail. Specifically, it is the ratio of the depth to the breadth of a cord of a sail. For example, if a sail has a maximum depth of one foot on a cord ten feet long, the camber would be said to be 1 to 10, or 1/10. Decrease camber (flatten the sail) by tightening the cunningham, tightening the vang, tightening the backstay, tightening the outhaul. P.O.C (Postion of Camber) – the fore and aft location of the maximum depth in a sail. Move camber forward by tightening the cunningham, loosening the backstay, loosening the vang. 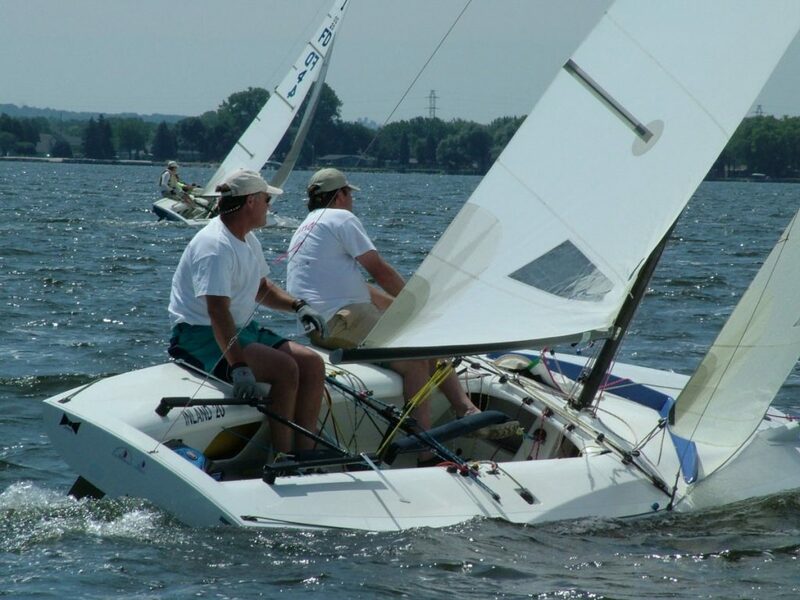 Twist – the difference in the angle of the sail to the centerline of the boat measured at the boom compared to the angle of the sailto the centerline of the boat measured at greater heights above the deck. Increase twist by sheeting looser, tightening the backstay, tightening the cunningham, tightening the outhaul.